Discussion Board in English Pregnant Woman in Sudan to Be Executed for "Apostasy"! 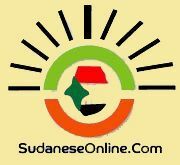 Pregnant Woman in Sudan to Be Executed for "Apostasy"! There is a long-running debate in Islam over whether apostasy is a crime. Some liberal scholars hold the view that it is not - and back up their argument by citing the Koranic verse which states: "There shall be no compulsion in religion." Others say apostasy is tantamount to treason - and refer to what Prophet Muhammad said: "It is not permissible to spill the blood of a Muslim except in three [instances]: A life for a life; a married person who commits adultery; and one who forsakes his religion and separates from the community." The latter is the dominant view in conservative Muslim states such as Sudan, Saudi Arabia and Pakistan and the cause of much religious tension.